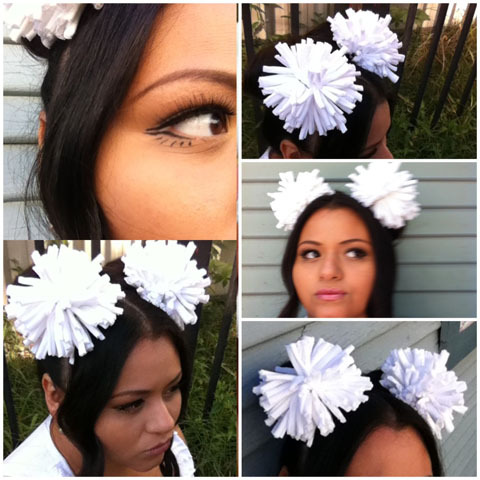 Last Minute Do-It-Yourself Halloween Accessories: Pom-Poms! - Fueled by chile, frijoles & tortillas. Yesterday we made glammed out flowers. Today, I want to teach you how to make easy and very fun pom-poms to make your Halloween extra spectacular. You’ll certainly get conversations started with these do-it-yourself hair accessories. Plus, they’re really easy to make! 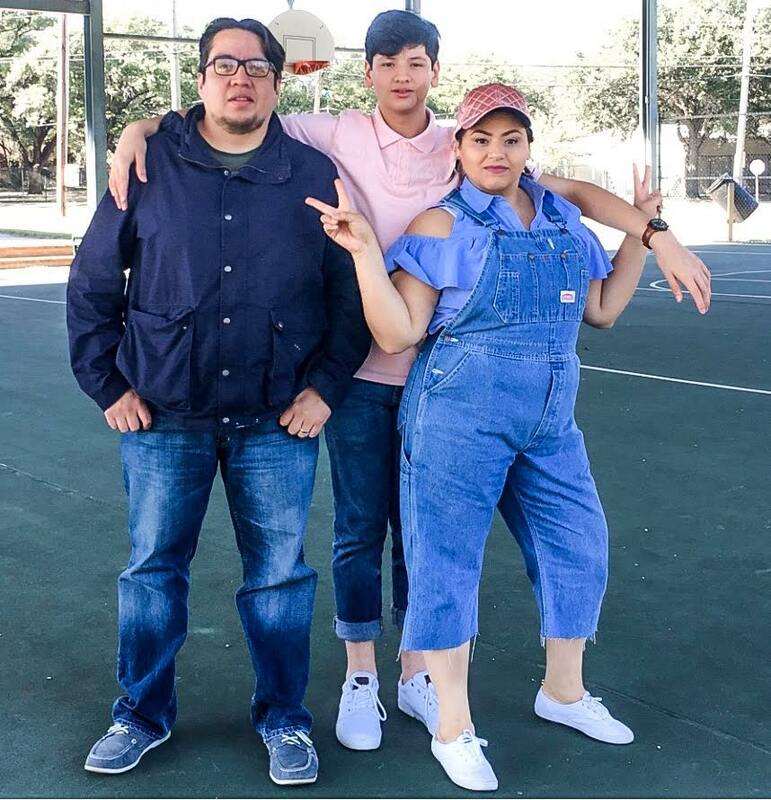 I used a plain white tee for mine. Who doesn’t have extra plain white tees laying around? For this project you can repurpose them into something fun and Halloween friendly. 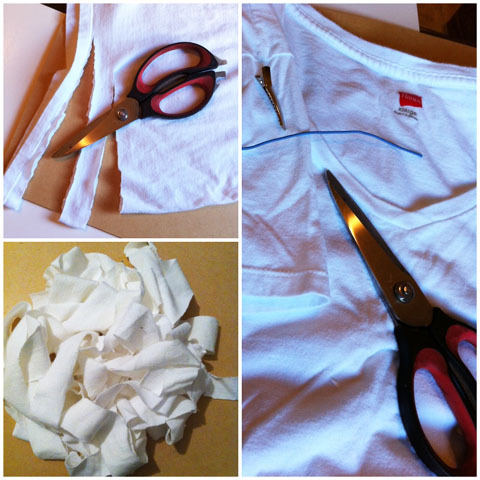 Start out by cutting up your tee into long strips. Next you’re going to roll your strips of cloth. 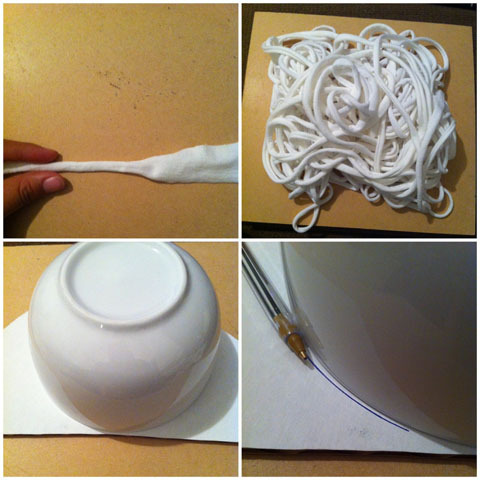 And then you’re going to use a regular bowl to trace and cut out a C shaped piece of cardboard. Now take your strips of cloth and wrap them around the C shaped piece of cardboard. 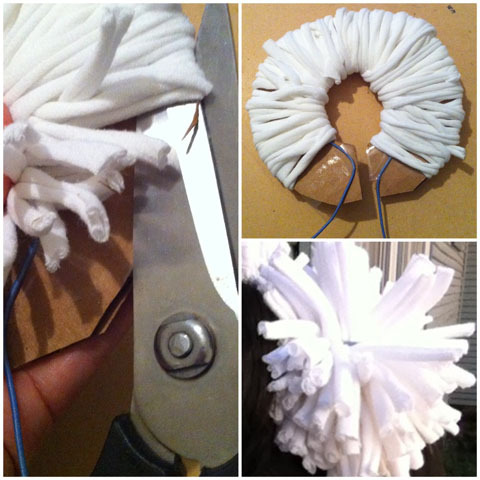 When you’re done with this step, you’ll take a pair of scissors and cut along the outer shape of the C.
Now just bind your pom-poms together and you are done! I told her! Dayum this is pretty cool!